Areas of Expertise: public lands and wildlife advocacy, community and volunteer engagement, organizational development, operations, leadership, and resource development. Tracy Davids is responsible for volunteer engagement, community outreach and events, program implementation and administrative support for the Southeast team. Tracy comes to Defenders from her own non-profit coaching and consulting business and has thirty years of experience in the non-profit and for profit sectors. 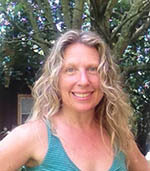 Prior to launching her business, Tracy served as Executive Director of Wild South. During her 15 year tenure with this regional non-profit that protects public lands and wildlife in the Southeast, she helped grow the organization from a tiny Asheville-based start-up to a leading professional organization in its field with a regional presence and field offices in four states. It was here that she strengthened her environmental advocacy, public policy, leadership, management, planning, volunteer engagement and communications skills and put them to work for her passions - public lands, wild places, and wild things. Her experience also includes the practice of civil law and business administration. Tracy holds a J.D. from Suffolk University Law School, a license to practice law in the Commonwealth of Massachusetts, a B.A. in History from Boston University, and an A.S. in Paralegal Studies from Endicott College.